Before the hot summer weather hit, I started making my own whole wheat bread. I thought it would be a great way to save a little money, and eat healthier...and it was! Actually, since I started making homemade bread nothing else even compares. I will even say that I like it better then Great Harvest...which is saying a lot! 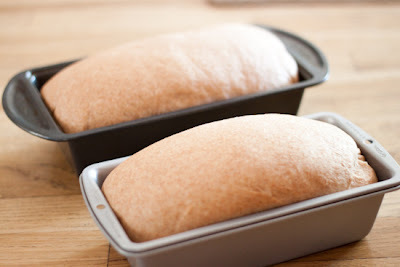 I have tried a few whole wheat bread recipes and came across one that I really like, and unlike many breads that claim to be "whole wheat" this recipe actually uses 100% whole wheat flour and still comes out fluffy and moist! I know that making homemade bread can be very intimidating. I will in no way claim that it isn't a little difficult. 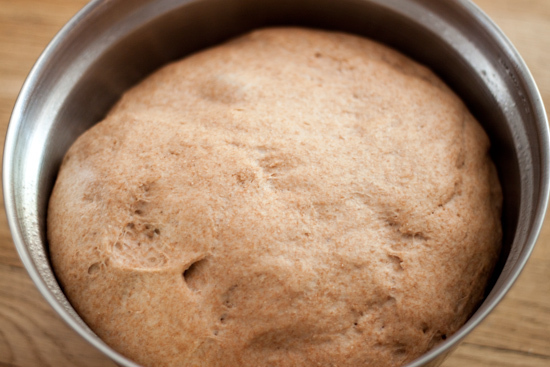 When I first started, I actually made about 3 batches of bread before I could perfect the recipe and not end up with something that resembled a whole wheat rock. 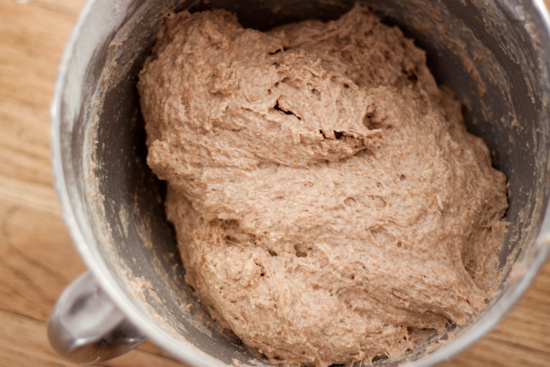 I think all bread recipes can be a little tricky, because depending on your climate, and whether you knead the bread with a machine or by hand, the amount of flour added can really vary. 1st. 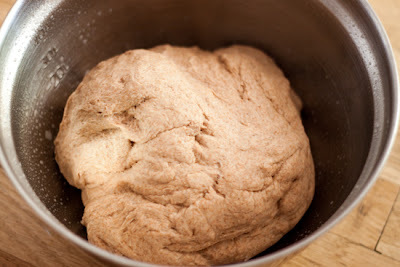 Add the flour in small amounts and stop adding when your dough ball still has a little stickiness left to it. If you add too much flour your dough wont rise very well and you will end up with a bread rock. 3rd. 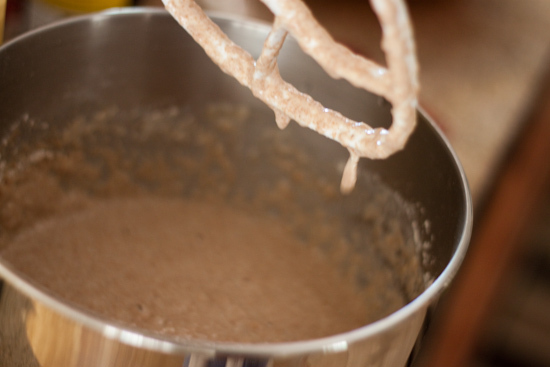 When dissolving the yeast don't be afraid to use very warm water, just make sure it's not hot! To view the recipe and tutorial click below! Step 1. 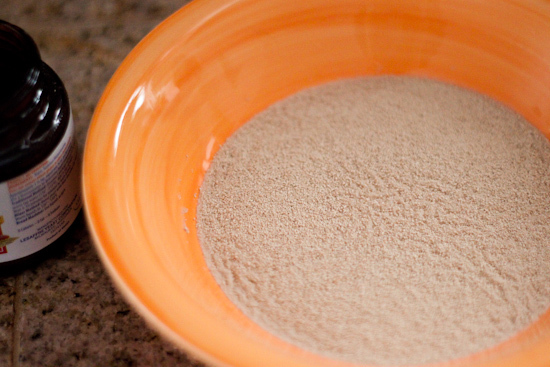 In a small shallow bowl, dissolve yeast in 1/4 cup warm water. It usually takes about 10 min. Step 2. When the yeast is ready, take a large bowl (or kitchenAid mixing bowl) and add the hot tap water. 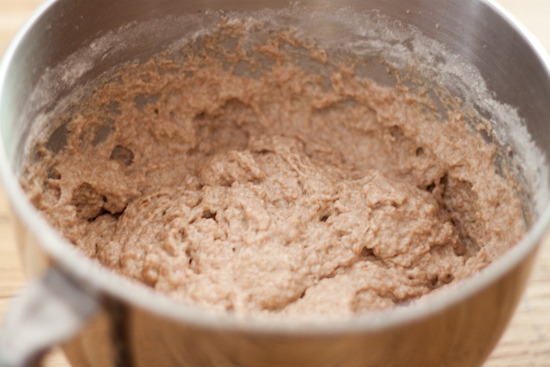 Then add and mix in 3 cups of whole wheat flour, salt, oil, applesauce, sugar, and the yeast mixture. Step 3. 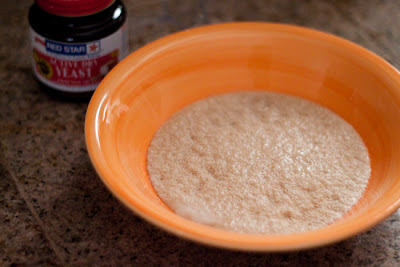 Mix in 2 more cups of whole wheat flour. Step 4. Add the remaining 1-2 cups of flour slowly (I like to add 1/2 cup at a time). 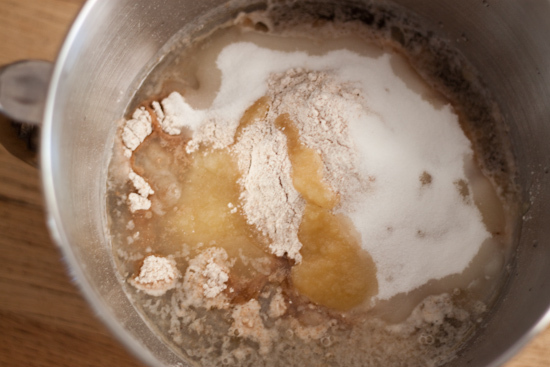 Be very careful to not over flour the dough. Remember the end product will begin to form into a ball and should still be slightly sticky. If you are using a kitchenAid make sure to use the bread mixer attachment and mix on low for 8-10 min. 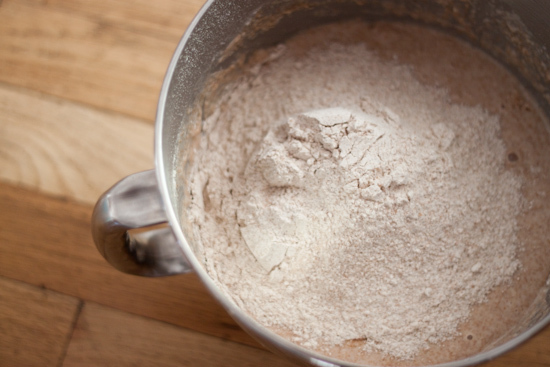 If you are working by hand, flour a large surface, pour the dough out of the bowl begin to knead it on the counter for 8-10min. Step 5. 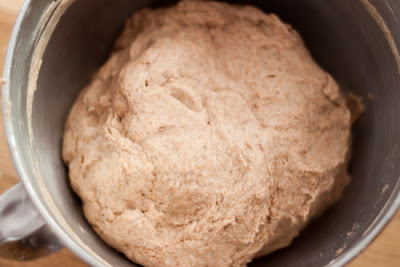 Form the dough into a ball shape and place in a large bowl coated with cooking spray. Step 6. Place a light dish towel over the bowl and let the dough rise for about an hour, or until it has doubled in size. Step 7. 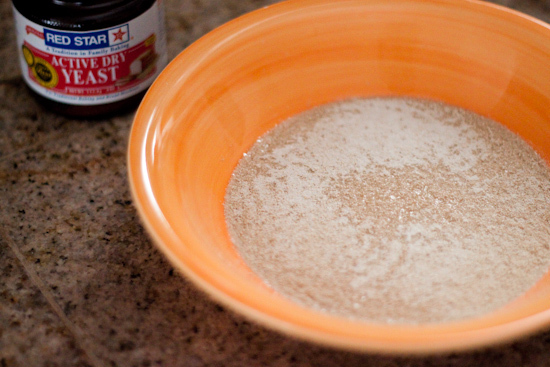 Spray a large area on your counter top with cooking spray. Dump the dough ball onto the counter and divide into sections for bread pans. 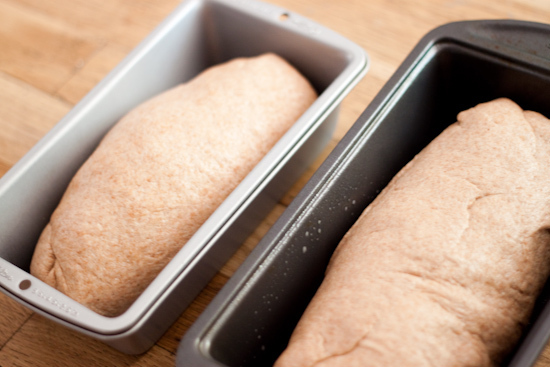 Punch down and re-knead the dough sections into bread shapes and place into greased bread pans. Step 9. Bake the bread loafs at 350 degrees for 25-35 min. (my smaller pan takes about 25 and my larger takes about 30-35 min.) 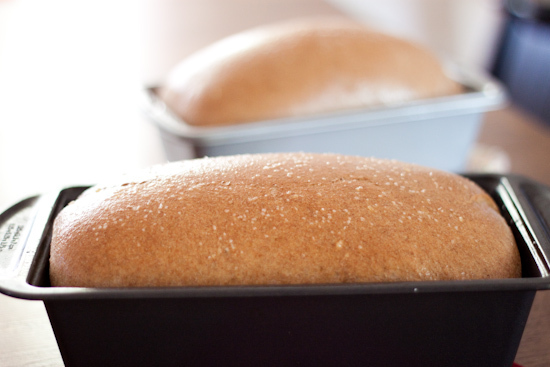 The tops of the loafs should be nice and golden brown. When the bread is finished cooking, I like to coat the tops with a little olive oil and a light sprinkle of kosher salt. I wait a few min. before taking the bread out of the pan. Then I place them on a cooling rack until they are no longer warm on the outside. Although...I usually can't help but cut myself and nice warm slice and then I top it with homemade strawberry jam. 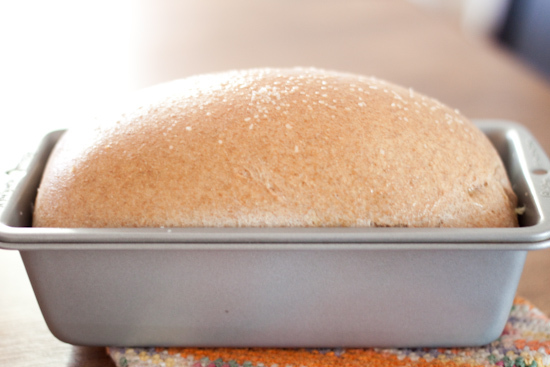 Your bread turned out so perfectly! I haven't made bread since last fall - I think it's time I try again! Does it really save money? Because my husband will only eat healthy/expensive bread, but if making this at home is cheaper I will definitely do that! Oh, I really am going to try this one! I've been wanting to make better/more/healthy bread. Also, I just heard from Andrea a couple days ago the good news! (I'm so very behind on blog reading lately, so I didn't see your announcement til today) Congrats! So very excited for you guys. I hope this one is a better sleeper! I hope you stay feeling better too! Wow Andrea. That bread looks amazing. I can just smell it from here. How about a bite? I'm going to try and make it tomorrow. 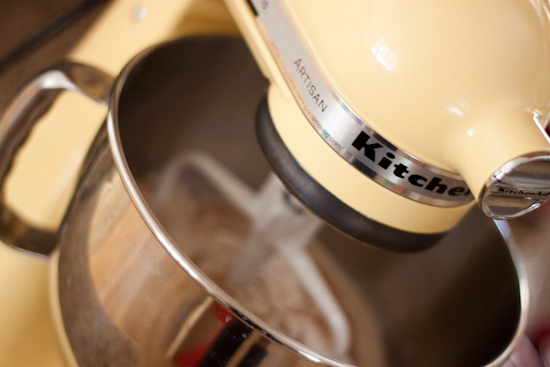 Fall always makes me think of baking!! Your bread looks so yummy!! I've made bread off and on but never liked the whole wheat ones...but I'll give this one a try with your recommendation!! What a beautiful loaf! 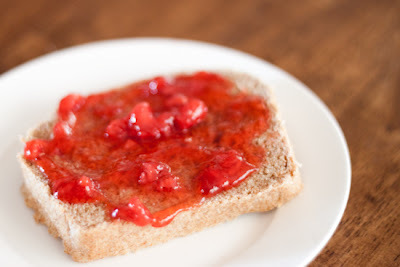 Nothing better than homeade bread~with butter and jam, of course! Any recommendations on substitutes for the applesauce? I substituted some of the original amount of oil with applesauce (to make the bread a little healthier.) 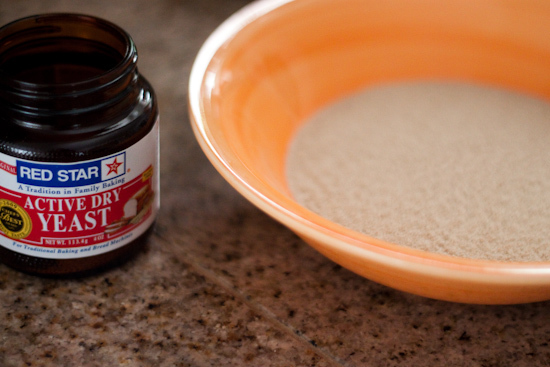 If you don't want to add the 1/4 cup of applesauce, just put in 1/3 cup of oil instead of 1/4 cup of oil. 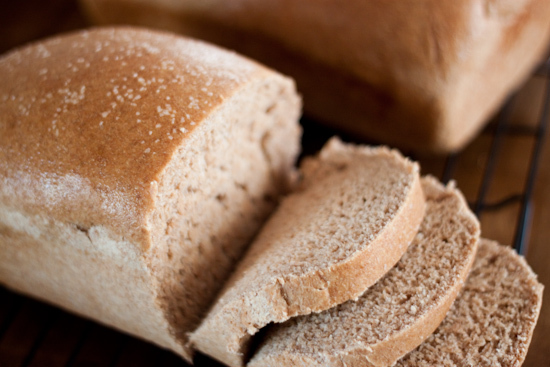 I have been making whole wheat bread for a while but am always looking for something better. I made this bread and the texture is perfect. The flavor however was lacking something. I do think I will make this recipe again but with a little salt and maybe use honey instead of sugar. Thanks for the recipe. I just made bread for the first time in my adult life using your recipe and it turned out beautifully! I've made it several times now, and have been substituting honey for the sugar, adding a dash of salt and replacing just a about a cup of the wheat flour with white to make it a little less dense and it is SO GOOD. So thank you for making my intro into breadmaking such a success! I just clicked on the original link that she posted and that recipe said that the recipe calls for 1/2 TBSP of salt. Hope that helps I am just making the bread and it looks GREAT! I think I'm going to attempt this to tomorrow, thanks for sharing! I'm making this bread right now and so far so good. Thank you so much for helping out and putting this recipe online. Hopefully I can get it to work. I'm awful with bread. I used pear-sauce instead of applesauce because I didn't have any apples or apple sauce. I just blended up canned pears and put it in! Just made, looove the texture. Unfortunately, I forgot to add the salt. :(( Glad I halved it. I'll just have to add a pinch to the slices as I eat it. Definitely a keeper! First time making whole wheat bread was a success! 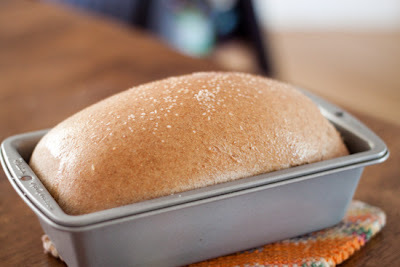 Thank you for the tip about adding flour-it didn't turn out as a bread rock! I used your recipe to my very 1st regular bread. It turned out excellent! Thanks for sharing! I found your recipe on pinterest. I just made two loafs. They were my first attempt at homemade bread. The texture is soft and fluffy. But maybe not sweet enough. That could be because I used no sugar added apple sauce, though. I am just excited I didn't ruin it! Thanks so very much for sharing this. Love this recipe, my new go to! What is the function of the applesauce? Flavor? If I don't have applesauce, what can I use for a substitute?